We completed this eCommerce website after instruction from the managing director, Paul Cadman. 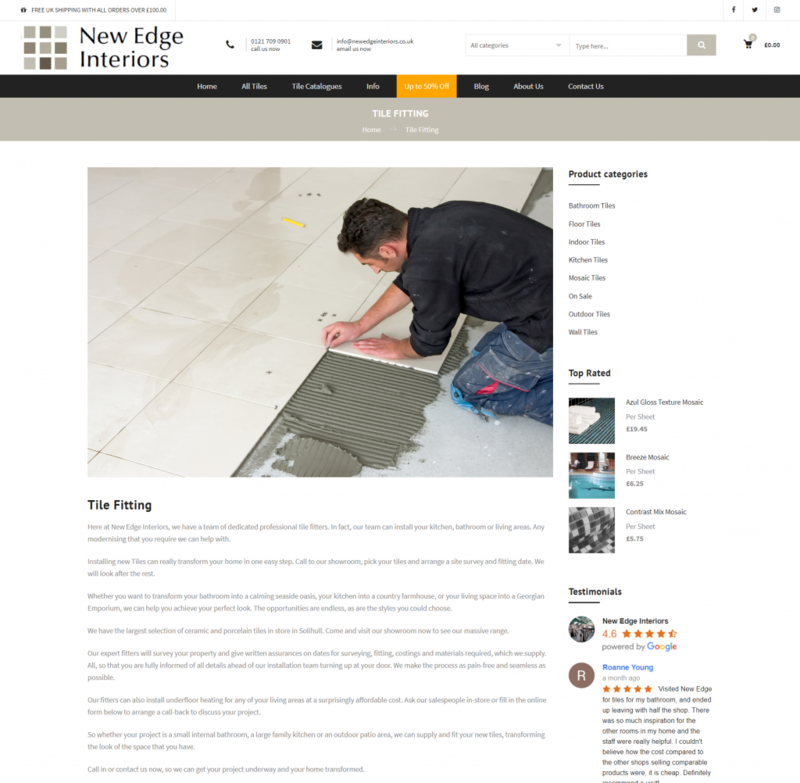 Their previous website did not have the ability to sell online and was also outdated and in need of a refresh. 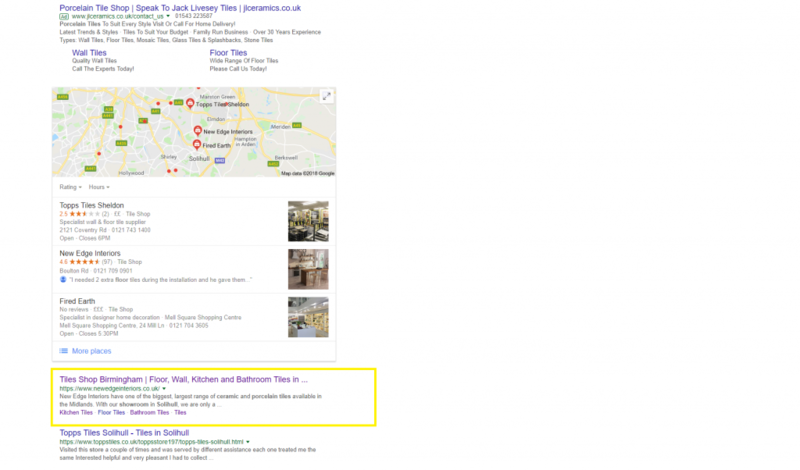 New Edge Interiors will soon have the largest catalogue of online tiles in the UK. 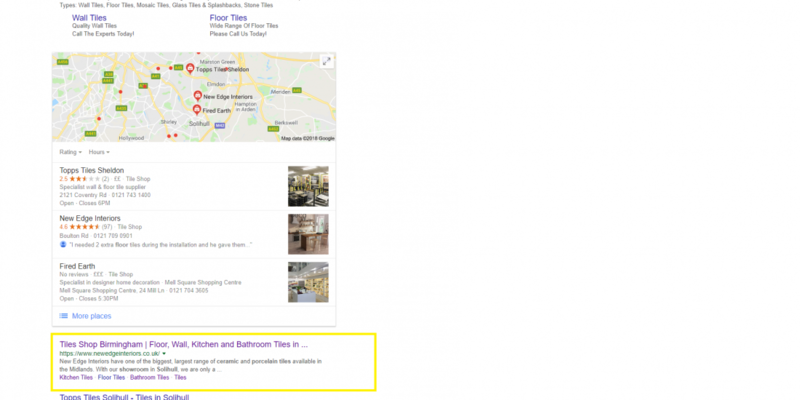 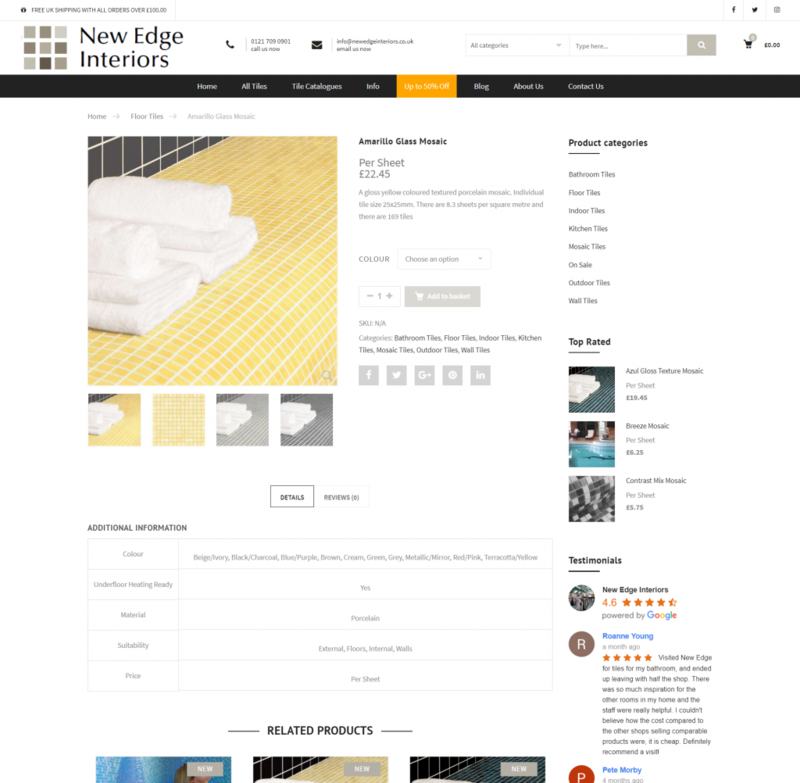 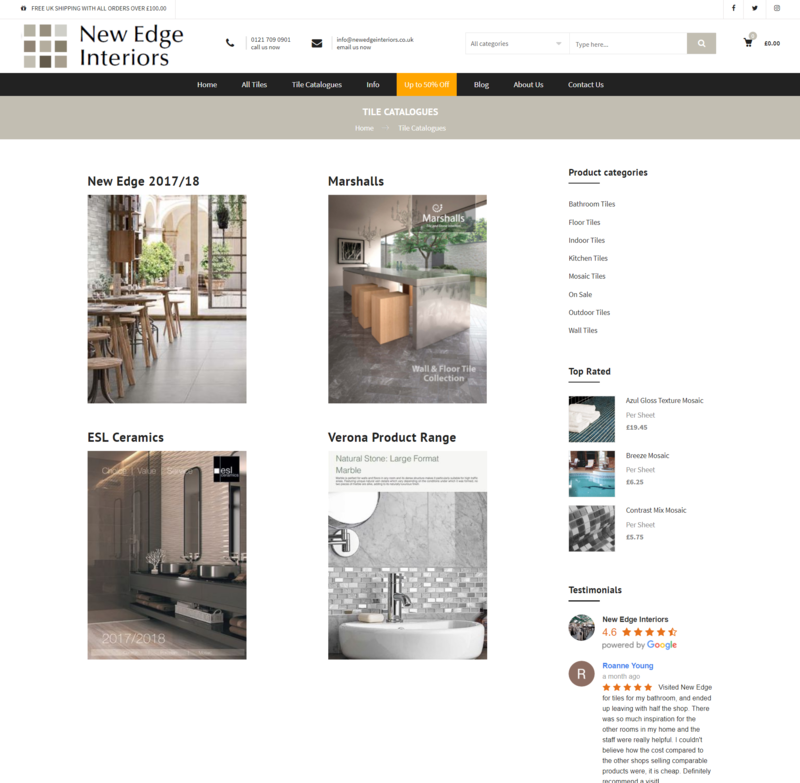 New Edge Interiors wanted a user-friendly eCommerce site that would have the capability to become the most extensive online tile catalogue in the UK. 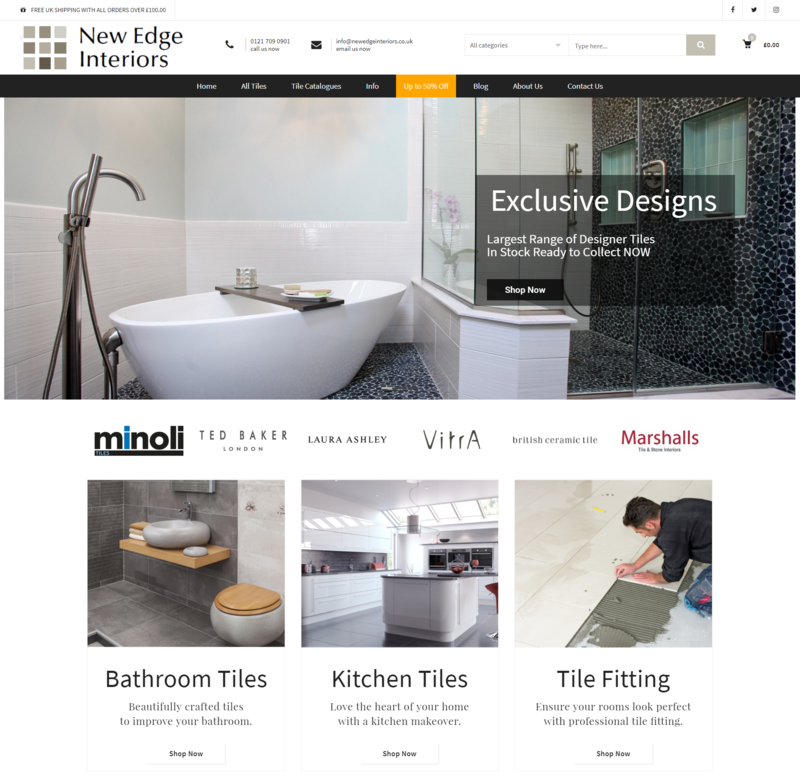 We have created this, and also developed a full social media and marketing campaign that reflect these aims.